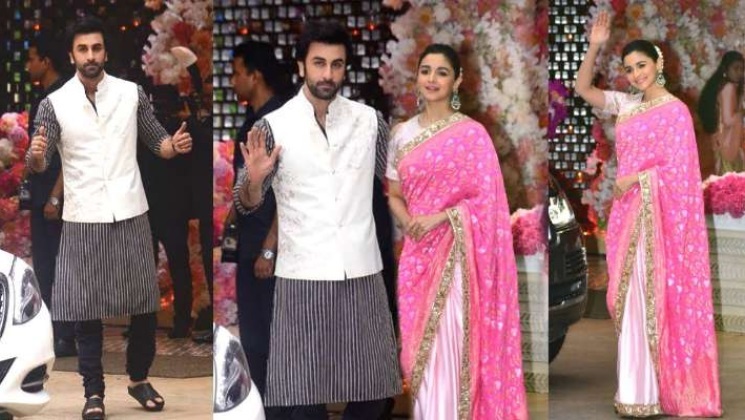 Home Bollywood Gossip Ranbir Kapoor and Alia Bhatt to tie the knot in 2019? Bollywood has been hit with the wedding bug as Deepika Padukone and Ranveer Singh are all set to tie the knot in the picturesque Lake Como in Italy on November 14 and 15. They will soon be followed by Priyanka Chopra and Nick Jonas who are planning a destination wedding at Jodhpur’s Mehrangarh Fort in December. Now buzz is that Ranbir Kapoor and Alia Bhatt are also planning to settle down in marital bliss early next year. Ranbir Kapoor and Alia Bhatt, who had fallen in love while prepping for Ayan Mukerji’s ‘Brahmastra’, have been painting the town red ever since they made their relationship official. Recently, Alia was in New York to spend some time with Ranbir and his parents Rishi Kapoor and Neetu Kapoor. If rumors do come true, then get set for a BIG FAT Punjabi wedding. Alia Bhatt was recently seen on Karan Johar‘s much-loved show ‘Koffee With Karan’ with Deepika Padukone where the actress spoke candidly about her beau. She has also been sharing quite a few pics of Ranbir on her Instagram page, and even posed for photographs with his mother. Ranbir Kapoor too has been all praise for the ‘Raazi’ star after accepting that he is in a relationship with the Bhatt girl. On the work front, Alia and Ranbir will share the screen space for the first time in Ayan Mukerji’s ‘Brahmastra’. Alia also has ‘Kalank’ with Varun Dhawan and ‘Takht’ that also features Ranveer Singh, Janhvi Kapoor, Kareena Kapoor and Alia Bhatt.